I factory ordered this and picked it up this past Monday (Feb 4th) color: Mojito! Last edited by Sudz; 02-25-2019 at 09:50 AM. Love it! Really love the new JL.. what I really want is the 2020 gladiator though! It's almost too nice to take trail riding and scratch up! But what's the point of having a Rubi if you don't use it, right? Lol! Looks great! Love the color. That is awesome! Haven't seen one in the green, I love it. I optioned it with the 3.6, automatic, LEDs, Tow Package, Hard Top, 8.4 Infotainment w/ Alpine System, Keyless Entry, Remote Start, and Body-Color Fender Flares. Looking good! 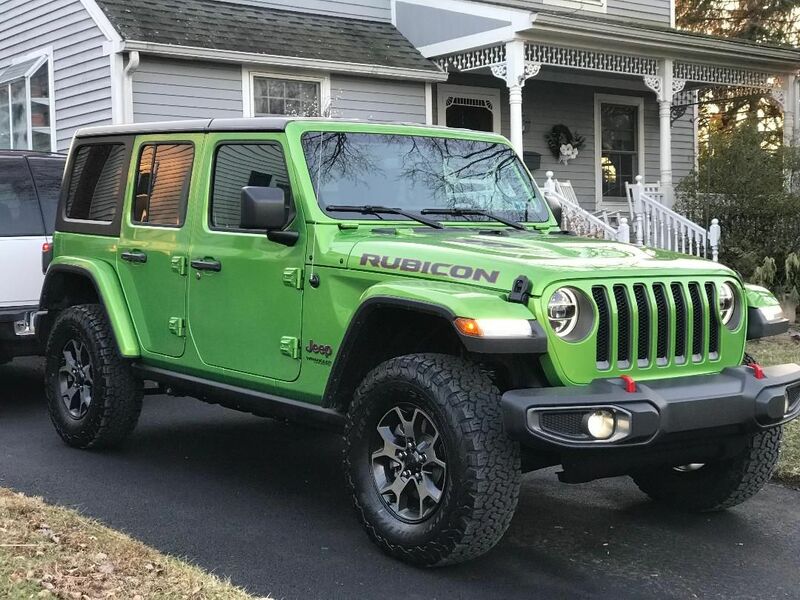 That green is sweet, a substantial upgrade over the JK highlighter green. If you have a min or wouldn't mind sharing (PM is fine) what'd it end up working out to MSRP vs what you actually paid / did you finance? I keep saying I wouldn't buy a new Jeep, but my God, these things are awesome. I’m picking up my Ocean Blue Rubi in March from a Vegas dealership. Overkill - there are dealerships that will sell at 5-7% under invoice throughout the ‘States, there are several on the east coast. Let me know if you want more info. (Depending on options, that works out to 10-14% below MSRP). Hey Sudz, can you tell me if your fender flares have full PPF (paint protection film) coverage from the factory, or just a patch on the leading edge of of the rear fenders? My order was similar, but I added the steel bumpers, knowing full well I’m going to have to beef up the rear corners. I love the aux switches and wiring that comes with the tow package!! And I love the Mojito color, but not sure I’d want it for the 10+ years I keep my vehicles. Last edited by Z; 02-24-2019 at 09:30 PM. Congrats! I'm guessing Jim Marsh in Vegas. Just a patch on the leading edge which seems to be getting the job done. These JLs handle amazing. You're going to enjoy it. I've been on jlwranglerforums.com for a while now. good group of folks. lots of tech. I'm Z J West on there. Nice to know yours has been trouble free, I’m also on the forum (as TRZ) and it is a bit scary all the problems being reported! (Of course it is a forum, which is where people go to report problems. And yes, I’m buying from Marsh. I’m paying cash and I didn’t like the financing requirements of the Idaho dealership. I was ready to order in Aug but dragged my feet based on all the reported problems with the early ‘18s. If you’re on that forum I’m sure you’ve read them all from chronic bad steering and death wobble to poor frame welds. Finally rolled the dice and ordered this past December. From VON to delivery took 4 weeks. I plan to eventually wheel it, but not like I do the ZJ. More trail riding, less rock crawling. ZJ still has some life left in her. Not sure about another x-country trip in it though. The JL has all the creature comforts and should handle the higher elevations with ease. I considered the steel bumper group, but opted out after reading problems with the rear bumper making contact with the body at the corners. Front bumper, winch, and diff skids will be my first mods. its hard to argue with that platform. 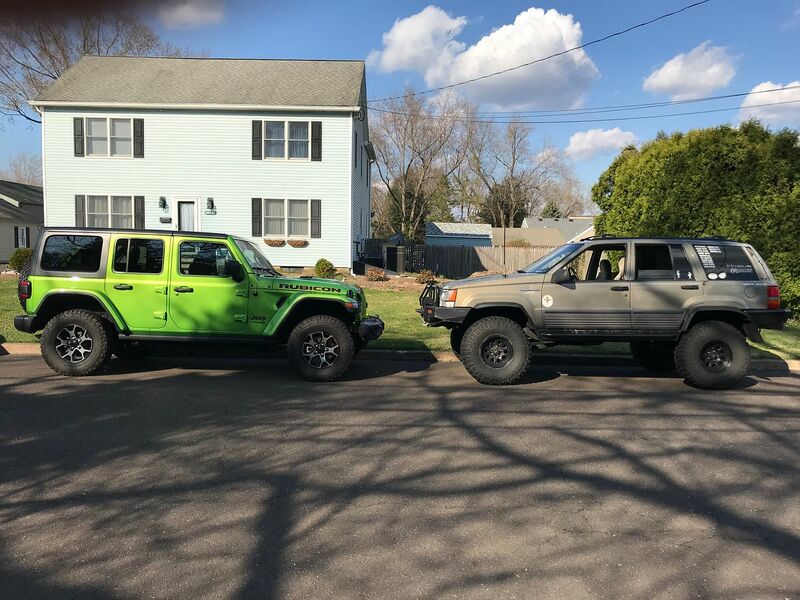 You know i was looking for a 5.9, ended up with a 94 ZJ 5.2 84K in real clean condition. Offroad popup is done and Jeep getting lifted now. Let's go hit White Rim!? Sometimes adults drink adult beverages. Sometimes these 'adults' drink too many of those beverages, and sometimes they come from a gas can.